Sir Alex Ferguson and Arsene Wenger are two names who have shaped up the way football is played in England. Apart from being the most successful managers in the history of the Premier League, the two gaffers also make for one of modern football’s greatest managerial rivalries. However, history could have had one last hurrah, 16 years ago, when in 2001, Fergie decided to step down as United’s manager. The Red Devils were prompt in finding an able replacement for the outgoing Scot, and United’s ex-chairman Martin Edwards recently revealed in his autobiography ‘Red Glory’ that Wenger was their number one target. While Ferguson later had a change of heart and stayed at the Mancunian club, United had wasted no time in figuring out his greatest rival, Arsene Wenger, could be the man to fill his shoes. Edwards said: “Our first choice was Arsene. 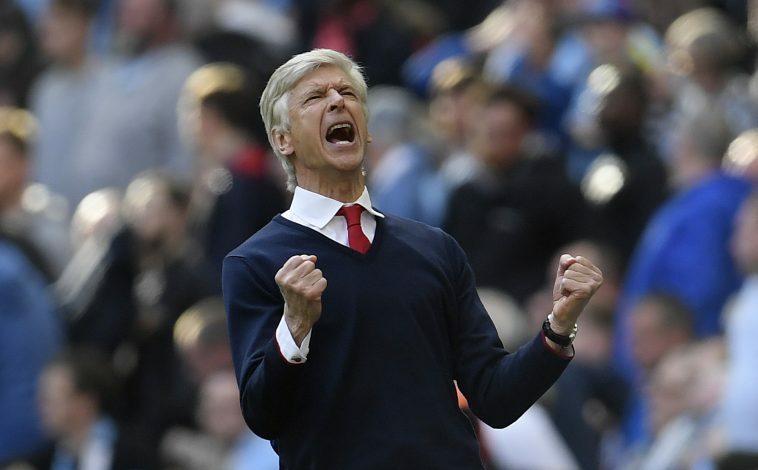 Since joining Arsenal in 1996 Wenger had been greatly successful, especially in his first full season in charge when he won the Double. And while it’s true to say he suffered hard times since, at the time we thought he was the best candidate to replace Alex. However, Wenger’s love for his beloved club was perhaps the decisive factor that stopped him from making a move to their perennial rivals. Edward believes it was the Professor’s commitment to the Gunners that has kept him at Arsenal for so long now. “I think Wenger felt loyalty to David Dein. He was very close to David and that was the reason he gave us in the end for turning down United,” he added. Perhaps we will never know what would have happened had the Frenchman decided to accept United’s proposal. But one thing that is almost certain is that this story will go down as one of modern football’s greatest ‘what if’ tales.